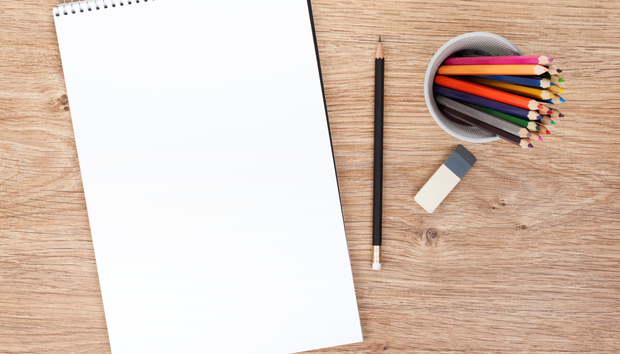 Is your service skeuomorphic, or do you need a blank sheet of paper? Skeuomorphism is an approach to design that uses familiar motifs for new services. A good example of this is new apps for taking notes that use graphics that mimic paper - the familiarity of a notebook should make it easier for people to pick up and use a new service. Yet this familiarity means that we can find it difficult to break out of old patterns of thinking. For service and support teams, how will new channels and capabilities like AI and chatbots affect the design and delivery of service? And how can we avoid falling into those old and comfortable ways of thinking that ignore all that potential? What's changing in IT and service? In ITSM, we have our own familiar designs that we lean on - from how issues get reported through channels such as email and on the phone through to managing how these tickets are assigned, there has been a consistency in approach to how these problems are raised, dealt with and closed. However, this is having to change. - The expansion of chatbots - at the Gartner Symposium 2019 in Barcelona, investment in chatbots was listed as one of the top priorities for companies in Europe during the next twelve months. - The potential for automation - more than 40 percent of enterprises will combine AI with Robotic Process Automation (RPA) to support their workers, according to Forrester's 2019 predictions for AI and Automation. Spending on RPA is expected to reach $1.7 billion in 2019 and then $2.9 billion by 2021. - The growth of internet-connected devices - IDC predicted that global spending on Internet of Things (IoT) strategies will rise to $772.5 billion in 2018, an increase of 14.6% over the $674 billion that was predicted in 2017. On the software side, analytics and application software will take up the most investment. Each of these areas will force some change within IT. More business is moving online, more services are getting automated, and more devices that can benefit from internet connectivity are getting used. Taken together, these three trends will lead to new ways of working and providing services. However, what happens when these things go wrong? Typically, service requests are still handled using channels that have existed for years - in-person requests, phone and email services still carry the majority of requests for assistance. Live chat and now chatbots are starting to help online businesses with their service requirements - for companies that run online, this kind of service channel is more immediate and more accessible. AI can support these interactions as well. Finding the appropriate content and putting it in front of people at the right time can help enormously - not only does it remove simpler problems from the queue, it can help provide better service to an audience that tends to prefer helping themselves rather than sending emails and waiting. The next challenge is how companies can bring some of this approach over to the ‘real world,' where problems may arise away from a screen or a phone but devices will still be connected. Relying on the familiar service channels, while familiar and still useful, is not enough. Instead, we should look at how this connected approach can get service embedded in the right ways. However, this does not cover the experience when something goes wrong. Today, any problem means that the customer has to leave what they are doing and request help via another channel. Typically, this will lead to multiple messages or conversations to cover diagnosis and remediation. While this works, it does affect productivity for both the individual and the agent. Instead, we have to move away from traditional support and service design. It is not practical to install full computers into printers to enable email, live chat or other channels, while chatbots cannot run on printer hardware as it stands today. Instead, we have to redesign how we can apply the chatbot approach through a potentially limited channel. However, thinking this way can open up new possibilities. Printers today tend to include colour screens and tablet-style interaction. Could content be displayed through this, particularly if the printer is connected to the internet and videos can be played? Can the context for a problem be used to inform the chat experience, based on what error conditions are taking place and how the problem might be fixed? And lastly, can this be integrated with whatever approach to managing service is in place. This process changes how service is delivered. It also affects how the team should manage and report on its activities; as self-service takes on more issues and reduces the number of tickets that get sent through, the service team has to look at providing more content to fit into these new ways of delivering information. Making new articles, FAQ lists or videos to help customers takes time, but can help people before they know they need it. What is the future for service? Looking at the future, service can be redesigned to take place where a problem is, rather than taking time away to shift over to another channel and another place. By linking customer data sources together, it should be possible to take that more proactive approach to solving problems and getting more appropriate help where it is needed, rather than relying on older channels. By stepping away from the familiar service channel designs that we are used to, we can think about how to provide help where it is most needed - where and when a problem is. In turn, by thinking about the human element - rather than the service channel - we can remix our approach and avoid old ways of approaching problems, designing our service to fit with how people experience things today rather than harking back to yesterday's approaches. This kind of thinking can influence how we use AI and automation to improve and make service better.